The 2019 festival – which is free to attend – is themed "Educate. Inspire. Act." As we commemorate the 50th anniversary of the 1969 Santa Barbara oil spill, we will celebrate the activism that arose from that disaster. This year’s festival aims to inspire a new generation of activists and empower our community to take rapid action on the climate emergency. 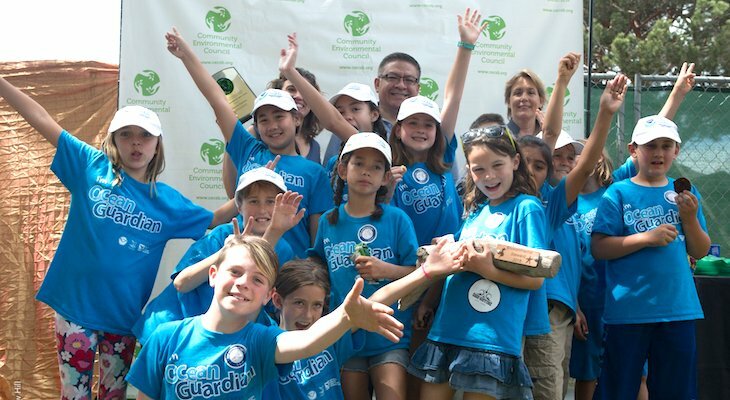 As one of the largest gatherings on the West Coast for environmental concerns, Santa Barbara Earth Day will showcase opportunities for community resilience to increased extreme weather, while also spurring individual action to combat the root causes of climate change. Visit SBEarthDay.org for more information. ● Santa Maria Open Streets on March 31. ● A League of Women Voters event The Climate Crisis and our Community Sea-level Rise and Health Impacts on April 17, 12 noon to 2:00 p.m. at the Faulkner Gallery. CEC’s CEO/Executive Director Sigrid Wright is a panelist. 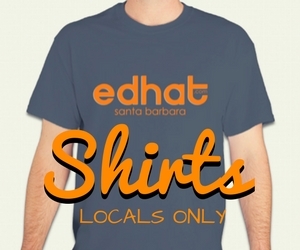 ● An Earth Day Kickoff Party hosted by WA Event Management at Night Lizard, located at 607 State St., Santa Barbara. Day/time TBD. ● For the month of April, $1 of all pours from the Karma Tap will go to benefit CEC at Draughtsmen Aleworks , 53 Santa Felicia Dr., Goleta. ● A special eco-themed Trivia Night at Draughtsmen Aleworks on April 9 at 6 p.m.
● A FREE opening evening concert at Alameda Park on Friday, April 26 from 5 p.m. - 9 p.m. with Beer & Wine Garden. ● The annual Green Car Show – featuring the largest collection of efficient and alternative fueled vehicles in Southern California. Festival-goers can get a first-hand feel for the latest electric vehicles and electric bikes by participating in the free Ride & Drive experience. ● A Public Square that offers the opportunity to speak one-on-one with public officials and visit with a wide variety of local non-profits. ● A free Bike Valet , with complimentary bike tune-ups and secure all-day parking. (664 bikes were valeted and another 400 self-parked in 2018). 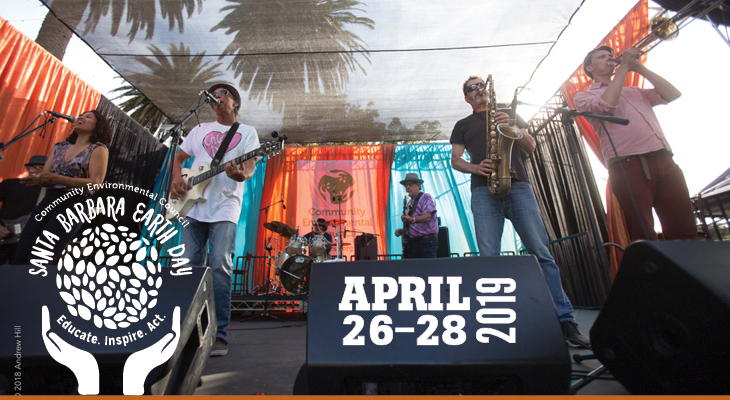 ● A Homegrown Roots zone that connects attendees with local farmers, food and beverage artisans, and organizations working to promote sustainable food systems in the Central Coast. ● Two full days of music on the Main Stage, organized by New Noise, as well as music and speakers on three mini stages. ● An Eco Marketplace featuring a NEW mini-stage for speakers and music, plus a wide variety of eco-friendly products and services. ● A Food Court with local, sustainable, and organic menus. ● A Beer & Wine Garden , located in the middle of the festival near the Main Stage, with beer on tap from Firestone Brewery and local wines. ● A Kids Corner organized by LearningDen Preschool and Explore Ecology, with arts & crafts, musical performances, storytelling, face painting, and eco-activities, along with a Family Passport that promotes kid-friendly activities throughout the park. ● A Great Outdoors zone where attendees can take part in fitness activities and discover regional businesses advocating healthy, eco-friendly lifestyles. ● A Zero Waste zone led by Green Project Consultants where the public can participate in efforts to separate waste, compost, and recycling (and earn beer discounts in the process!). 93% of all waste was recycled or composted in 2018. ● Celebrity and public official appearances. Recent festivals have included stage appearances by singer Kenny Loggins, actor/activist Jeff Bridges, sustainability pioneer Paul Hawken, California Attorney General Xavier Becerra, and Congressman Salud Carbajal. Others who have been honored include activist and CNN host Van Jones, scientist and TV host Bill Nye, film director James Cameron, actress Daryl Hannah, ocean activist Marcus Erikson, and Tesla Motors CEO Elon Musk – all of whom were awarded the annual Environmental Hero Award. Now celebrating its 49th year, the community-organized festival is one of the longest-running Earth Day celebrations in the country – and is believed to be one of the largest Earth Day festivals on the West Coast . 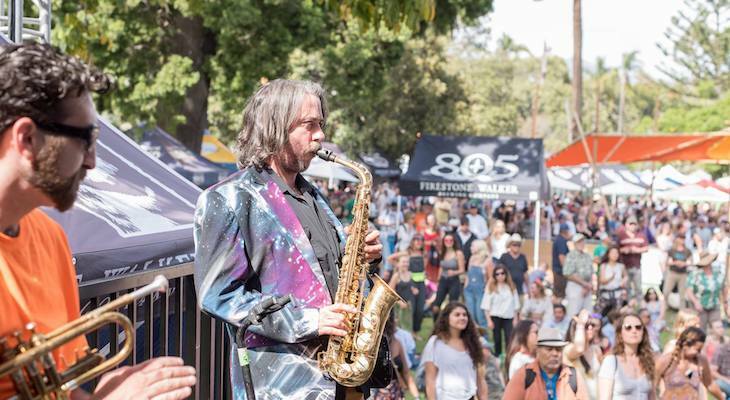 Santa Barbara’s environmental reputation attracts national media, celebrity attention, and local crowds; the 2018 festival drew over 36,000 visitors. CEC is partnering with Carp Events, Cultivate Events, LoaTree, Lucidity, New Noise, Oniracom, Pharos Creative, WA Event Management, and Write Kinda Girl to produce the festival.